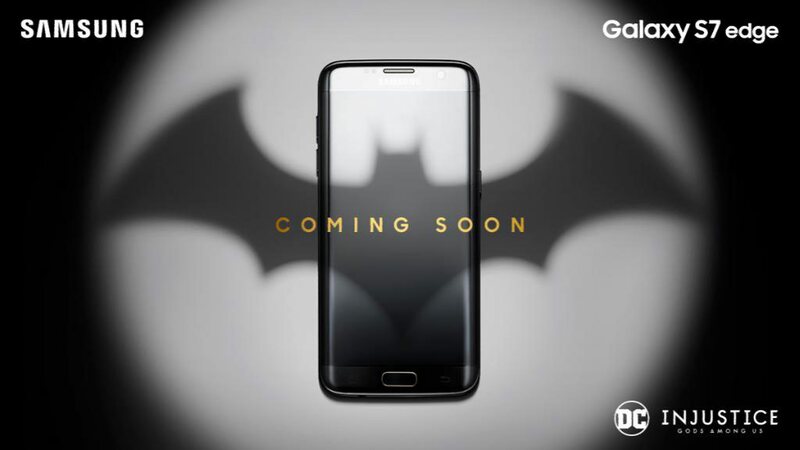 Today Samsung tweeted a teaser image of upcoming S7 edge DC’s Injustice Gods Among Us edition Phone. DC’s Injustice Gods Among Us is a video game based upon DC comics characters like Batman and Superman. Samsung S7 and S7 Edge is officially available since March 11. Update: Samsung S7 edge is celebrating the third anniversary of Injustice: Gods Among Us with Warner Bros. New limited edition phone package will include a Samsung Gear VR headset, as well as a gold-plated Batarang and a rubber phone case modeled after Batman’s armor. Samsung says the device will be available in early June in China, Singapore, Korea, Latin America, and Russia.